Some of the largest hospitality employers in the UK gathered at Lancaster London this week to attend the Caterer.com Best Employer in Hospitality Awards 2014. The 17 category winners announced by TV personality Sue Perkins included Marston’s Inns & Taverns, YO! Sushi, The Rezidor Hotel Group, Accent Catering Services, Liverpool FC Hospitality & Events, Nadler Hotels, De Vere Venues and Peach Pub Company, whilst dynamic independent bar company Urban Leisure Group taking home the top prize of No1 Best Employer in Hospitality 2014. 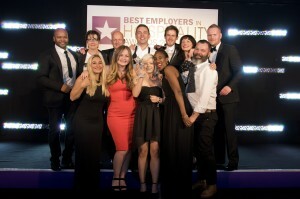 Now in their fourth successful year, Caterer.com’s Best Employers in Hospitality Awards are the only established, recognised and free to enter employer awards in the hospitality industry. The awards are judged solely on employee responses to an online engagement survey provided by engagement experts People Insight, which gauges how well employers support, develop and reward their people. Hundreds of employers entered the awards and almost 9,000 employees completed the survey, with 60 employers gaining an engagement score high enough to allow them into the Top 60 Best Employers in Hospitality 2014. Each of these employers will receive a free engagement report from People Insight, detailing their results. 500 hospitality professionals, including teams from the shortlisted entries, attended the awards to celebrate the success of the best employers in the business. The awards were sponsored and supported by Part & Company, Careers in Hospitality at The Hospitality Show, The Vine King, Macarto Direct, HotCatUK, HR in hospitality and Peppersmith. People Insight provided the online employee engagement survey through which the awards were judged. Managing Director Tom Debenham said the results proved that the hospitality sector had revolutionised the way it treated its workforce. “Everyone knows that the hospitality industry has unique pressures such as a young workforce, high staff turnover, awkward shift patterns and a pressurised atmosphere but the survey results show that the shortlisted employers are doing something tangible to make it a more attractive, rewarding and engaging career,” Tom explained. “Indeed, we’ve found strong evidence to show that the hospitality sector is a great option if you want to develop your career, be recognised for your achievements, and enjoy your job at the same time. People Insight has spent more than 20 years measuring engagement and and leading businesses through action to deliver real organisation change. Working with some of the biggest companies in the UK, from Virgin Holidays and Marston’s through to London Stock Exchange Group and Cancer Research UK, People Insight has become synonymous with helping change staff culture for the better. Employee engagement is so important to the UK’s recovery that the Government set up a taskforce – Engage for Success – to help motivate workforces up and down the land. It believes that Britain can churn out another £26bn of revenue if organisations make a commitment to better engaging their employees. “The best employers understand how much employee engagement matters and why. They are the ones who really consider their employees and work hard to develop and motivate them, and this is reflected in their customer satisfaction levels, employee retention and overall business success. “But as the economy continues to improve, employers are finding it increasingly difficult to hold on to their top talent. 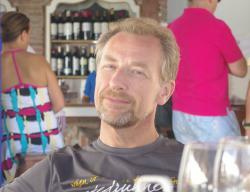 At Caterer.com we are seeing clear evidence of this. Last month, jobseekers viewed 1.9 million Job details pages on Caterer.com (a 12% increase year on year), 10,500 new CVs were added to our searchable database and the site delivered an average of 22 applications per job. There are almost 15,000 jobs on the site today. “These figures speak for themselves; hospitality candidates are on the move and they are looking for great employers to work for. To help employers in attracting the talent they want, Caterer.com provide insights and events throughout the year and our Best Employers in Hospitality Awards 2014 are a major part of this, alongside our quarterly Hospitality Employment Index reports, regular employer breakfast events and roundtables, our weekly Recruiter Blog and daily social media communications. Not to mention the support provided by our Account Managers to their clients in this regard. Get to know about sensitive data recovery on these page.